NEW YORK (Sept. 12, 2013) — In May, we planted the first seeds of Yovel's garden at the Bronfman Center here in New York. As autumn approaches we are readying to gather our first harvest. 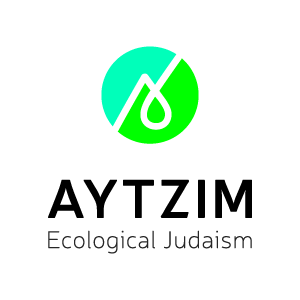 Yovel: The Green Zionist Alliance @ NYU has had the dream of creating a garden since its inception, and it has taken a lot of time, effort, and dedication to make the dream a reality. It is a place to plant seeds, to care for them, to watch them grow, and to use them as they mature. It is a place to talk, a place to sit, and a place to reflect in this electric city. The herbs’ aroma will be used in havdalah services, to give us a sweet smell that carries us from Shabbat into the week. The vegetables’ nutritious nature will be used for delicious treats to nourish our souls as we gather together, and the garden itself offers infinite lessons and teachings from the innermost workings of nature. A garden is a place of connection and growth. At every stage there is transformation, though it may be slow, it is always in process. I always cherished those moments in the city when I felt I was a part of nature. It is something I struggled with a lot in my first few years at NYU, feeling like a robotic cog in a concrete machine. But slowly I started to find tiny magical havens of lush greenery, secret gardens and community agriculture. These small spaces offered infinite feelings of freedom for me, of breath and connection. Through Yovel, I also began to find a Jewish community that was warm and loving, uplifting and real. These two aspects of connection — to the natural world and to the Jewish community — go hand in hand. We are organic beings in the organic process of life, and the more we recognize that, the more we can strive to live as one. A small garden may seem like a small step, but often times the smallest openings provide the greatest light. Making a tiny hole in the dirt, we placed the seeds in their homes, and covered them with earth. As we poured water over the seeds, I could not help but feel the beautiful germination inside of me, drinking up the first moments of growth in our garden. Sara Levine is the vice president of Yovel: The Green Zionist Alliance @ NYU. "Ninety-eight percent of the historical flow of the Jordan (River) today no longer flows. We're left with something around two percent. And this is not fresh water. This is a mixture of sewage water, agriculture runoff, saline water - what's left is a very sad site." Israel has developed subsurface drip-irrigation systems that are even more water efficient than the conventional drip-irrigation systems that the country pioneered.